You’ve been warned, this could probably be several posts- the lack of power for my computer, internet connectivity while traveling, and free time upon my return has left me behind on writing. The last 10 days have inspired a lot of writing. Hopefully I’ll get to all of it in the coming weeks. The short summary is interspersed with the photos. First off- I really like driving. 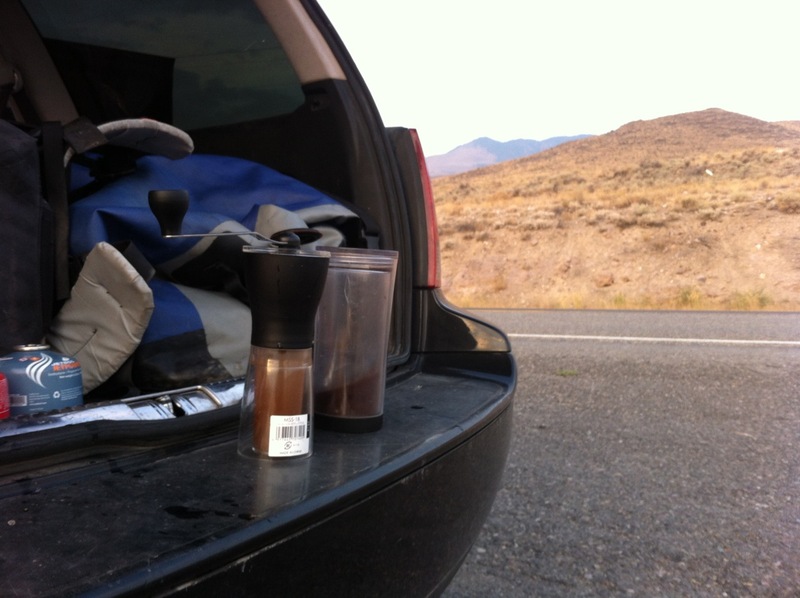 940 miles from Missoula to Lee Vining was no problem. 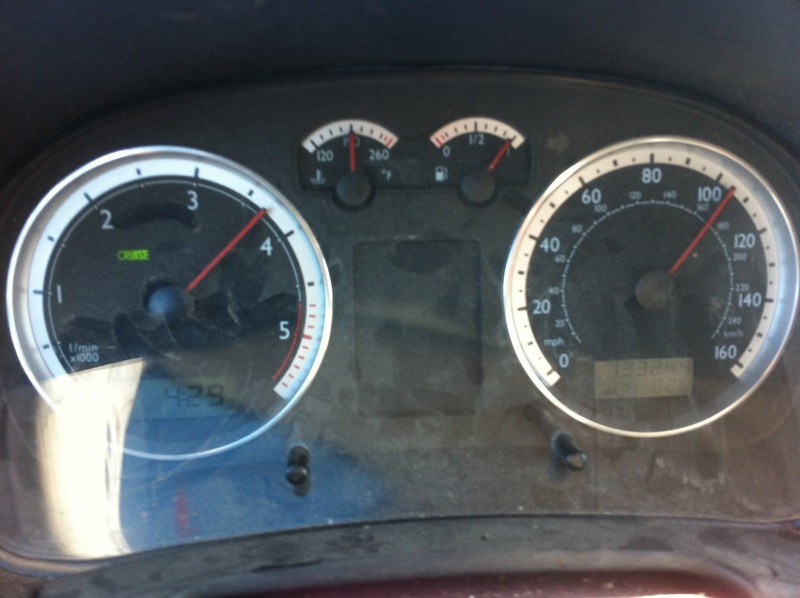 840 miles back (on a different route) was harder, but not because of the driving. How many of my best days start. 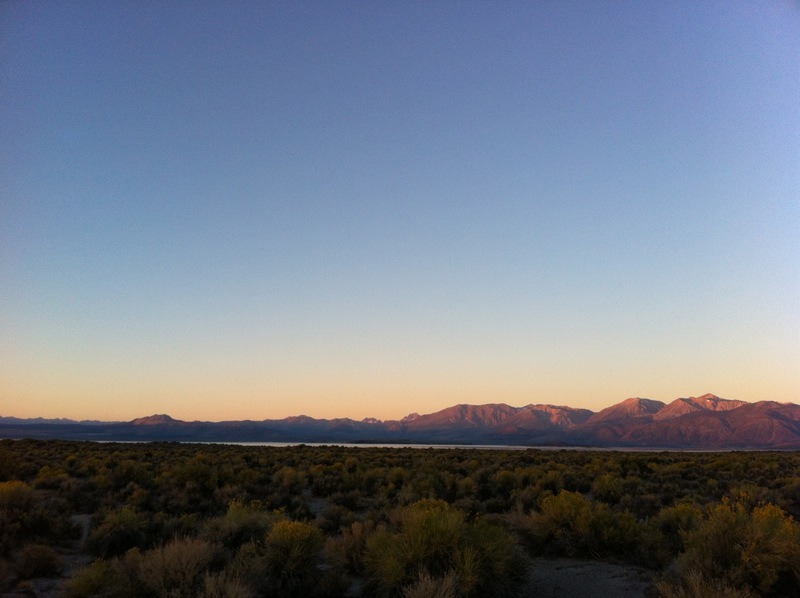 In addition to enjoying the Jarbidge, I also enjoyed a night in the desert overlooking Mono Lake, sunrise over the eastern Sierra, and beautiful (but hard to photograph) vistas across Nevada. 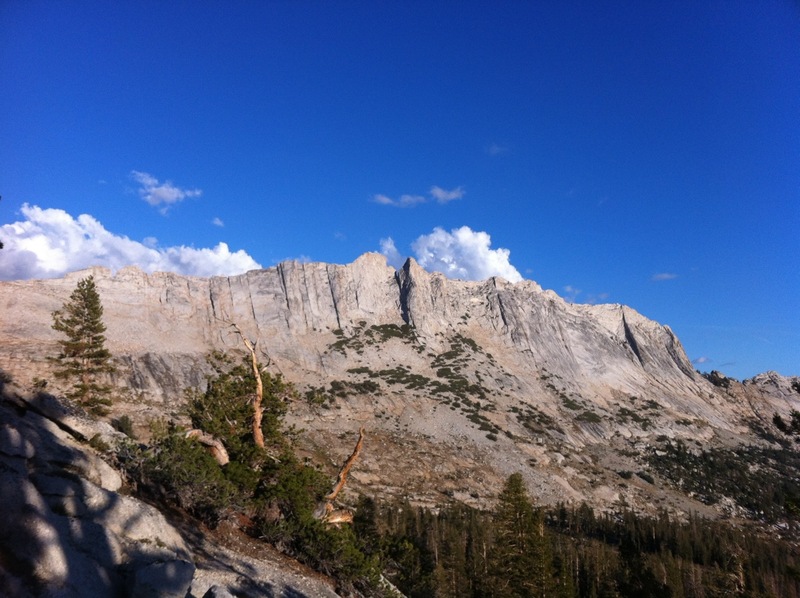 First light on the mountains, September 6, 2012. 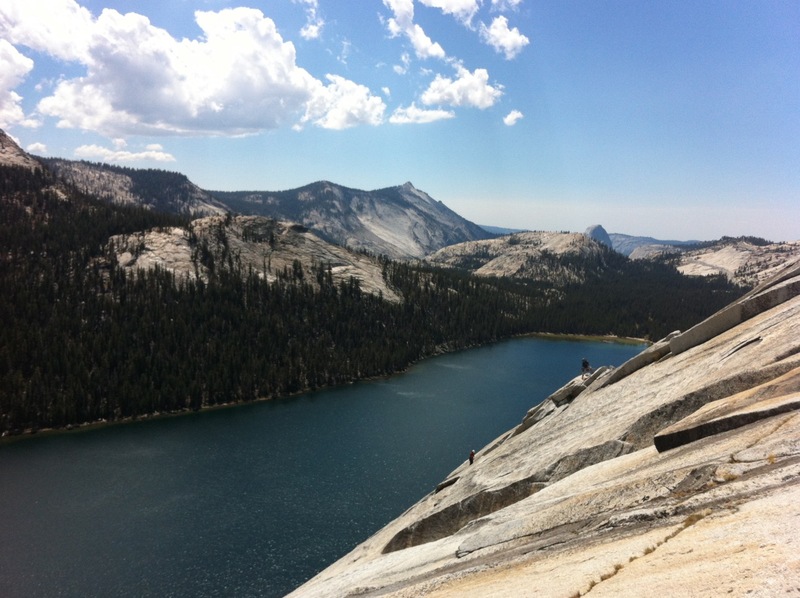 I pulled into Tuolomne Meadows around 11am last Monday- John was still making his way up from SF, so I headed out for a perfect trail run/hike up to Cathedral Lake. I haven’t been running at all this summer, but it felt good to move fast again, and I’m excited to think I’ll be running again this fall (fingers crossed). 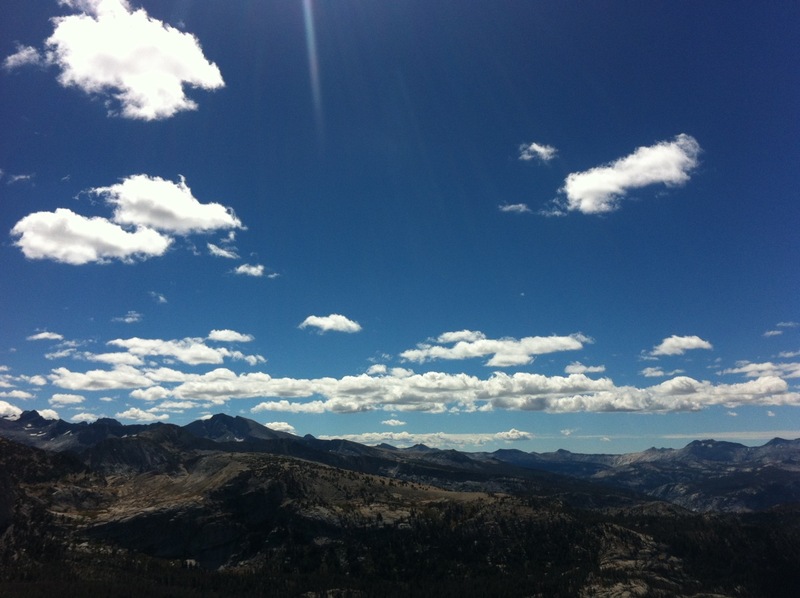 Tuolomne is one of the most perfect places I have ever been, and the only other time I was there was on my solo ski tour last spring. The summer tourists certainly have their impact, but nothing really breaks the serenity of the place. Tuesday John and I got lost and didn’t find the route we were looking for. Certainly a downer to start the trip, but it was still a beautiful day, and served us a good slice of humble pie. 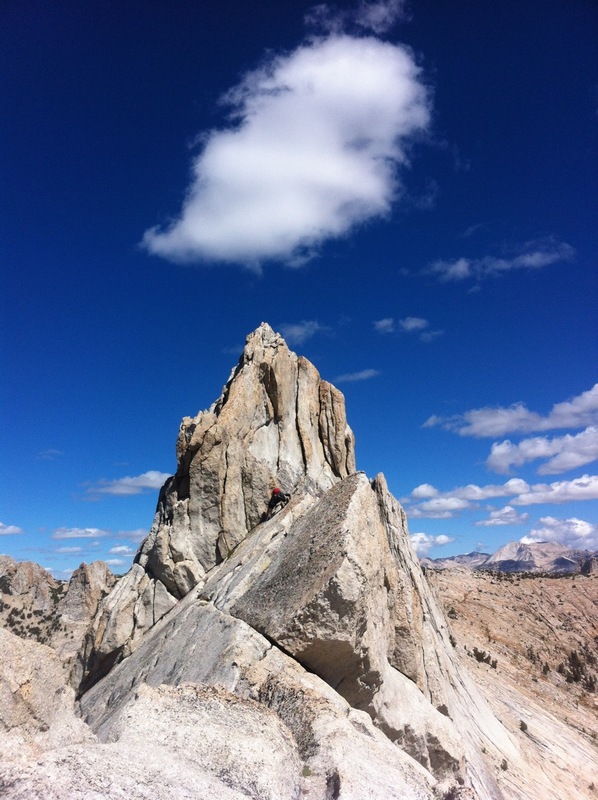 Weather on Wednesday looked uncertain, so we elected to fire two short routes, South Crack on Stately Pleasure Dome and West Crack on Daff Dome. 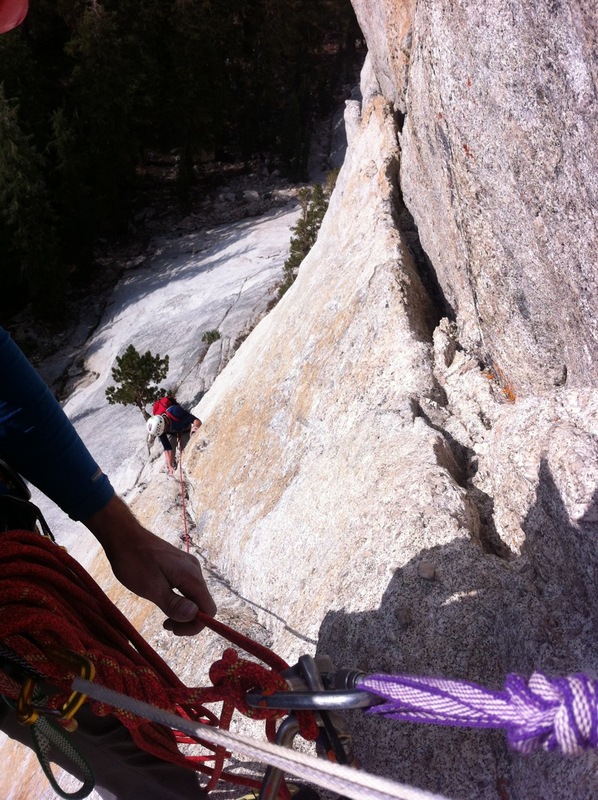 The climbing here can be confusing and scary, but awesome at the same time. 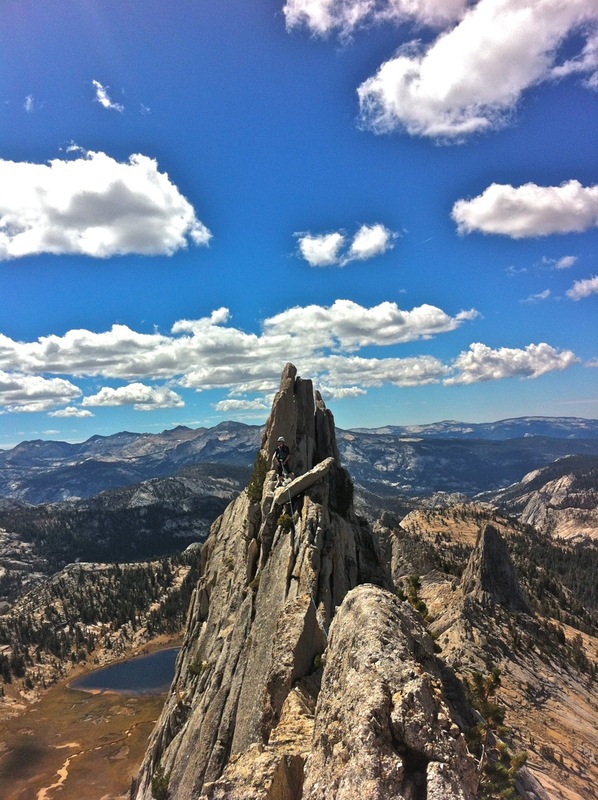 Climbers are the main wildlife attraction for tourists at the base of Stately Pleasure Dome. John charging the 2nd pitch. 100ft runout. 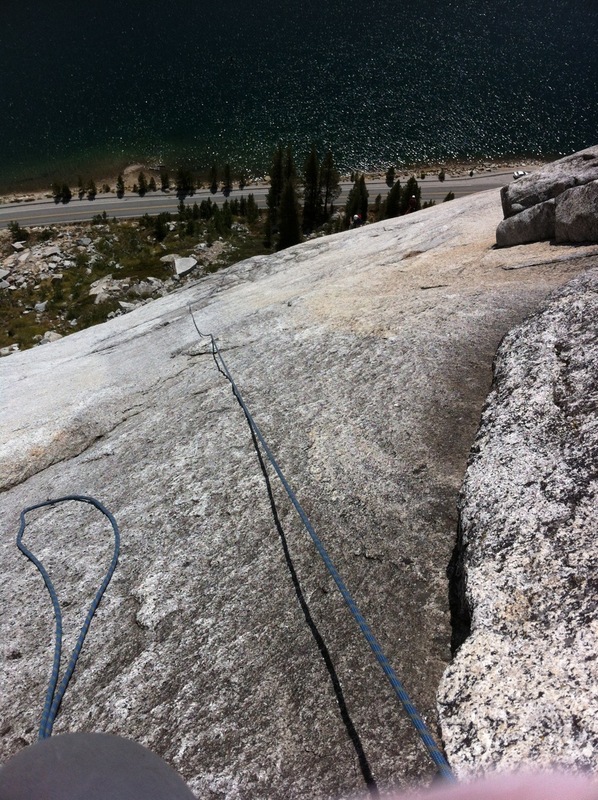 Routine for Tuolomne climbing. The climbing was easy and the setting was perfect. I wasn’t complaining. New friends on the route next to us. Tuolomne as a reputation for bad afternoon thunderstorms, and rain makes the granite slick as snot. By the time we got to West Crack, things weren’t looking so hot. Up to be down, I hated calling the weather after a superb first pitch. 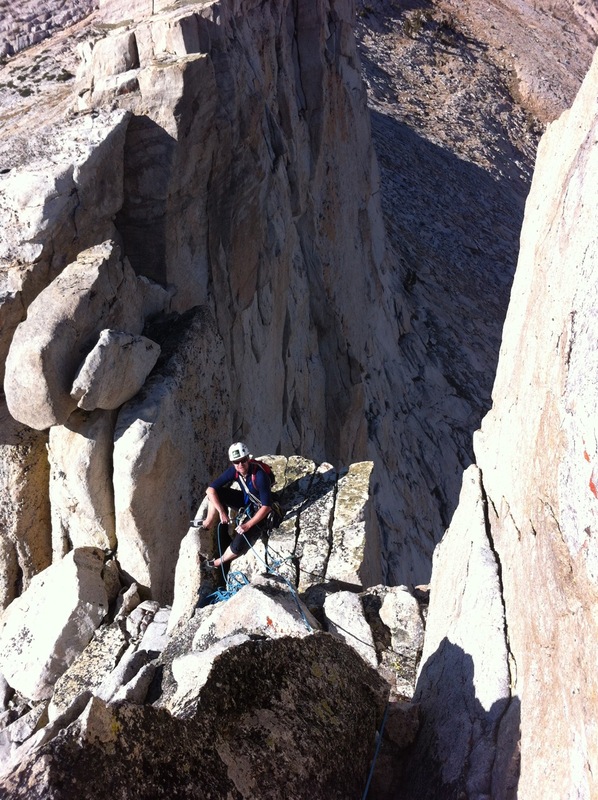 Thursday was more of the same, so we headed for some single pitch climbing at Olmstead Point. Frustrating to not tick any long routes, but the skies weren’t inspiring. 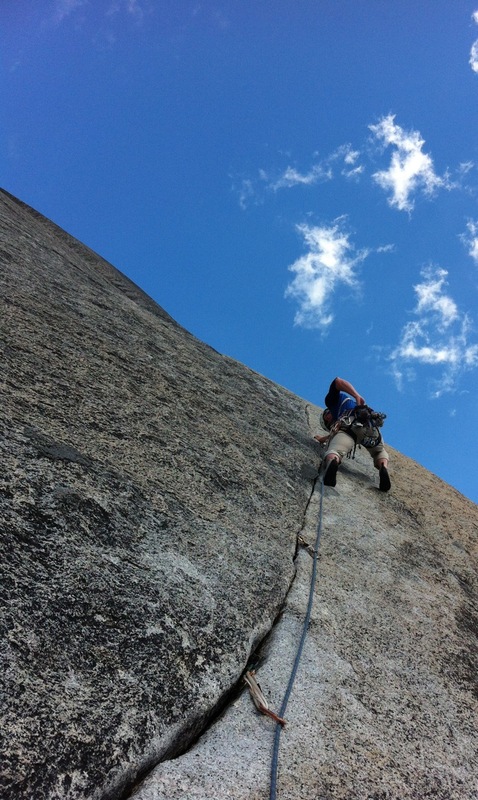 We top roped, we fell off a lot, and got worked early- there are really no bad days of climbing in Yosemite. 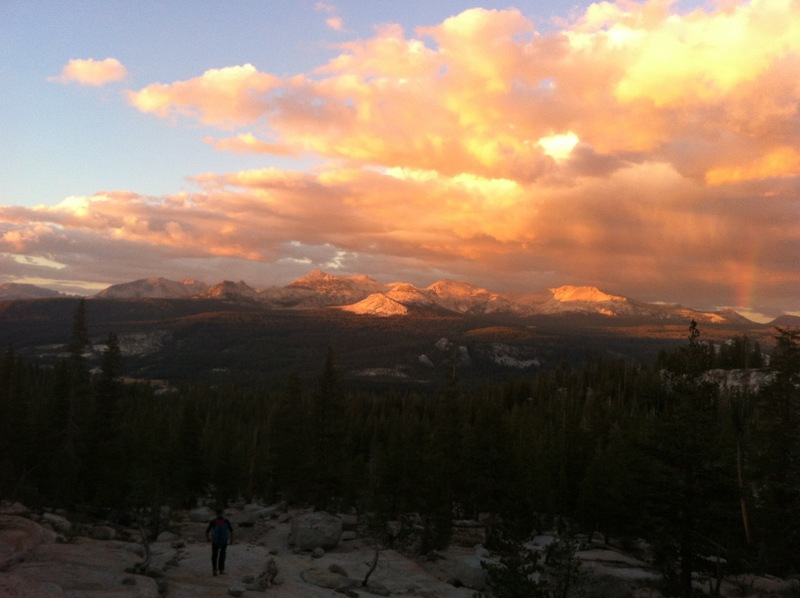 Even without long routes, my hands were showing signs of Yosemite by Thursday sunset. Friday dawned perfectly. I got up early to check the weather, and we made the most of the day. 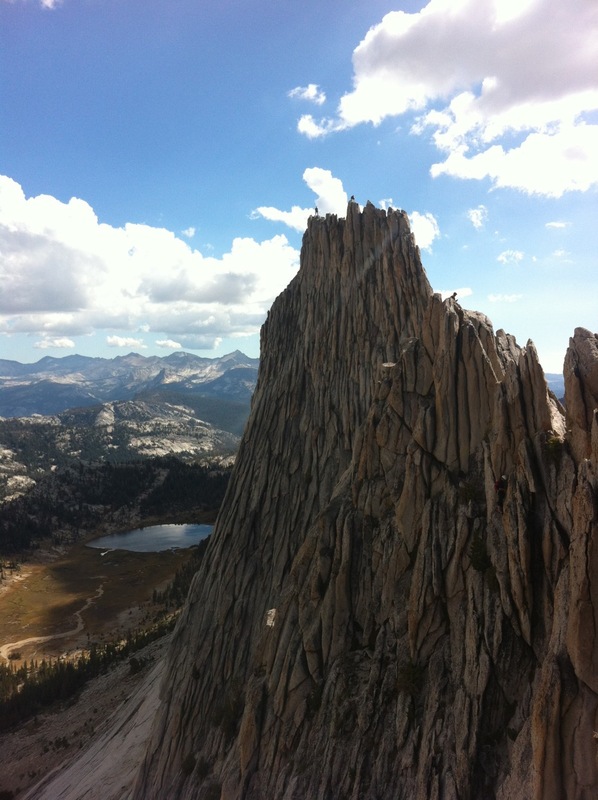 It may only be 5.7, but I’ve never climbed anything quite like the complete traverse of Mathes Crest. It’s about a mile long, and much of the route can be simulclimbed, but with just enough exposure to make you think about it. The views backwards were the best. Note the other parties standing where we had just been. Everyone gets this photo, and I don’t care. It was a sweet day out. Everything just fired like it was supposed to- we didn’t get too lost on the approach, John and I simuled the first half of the route in 2.5 hours, and despite some questionable route finding and exciting downleading, we had a hoot on the second half as well. 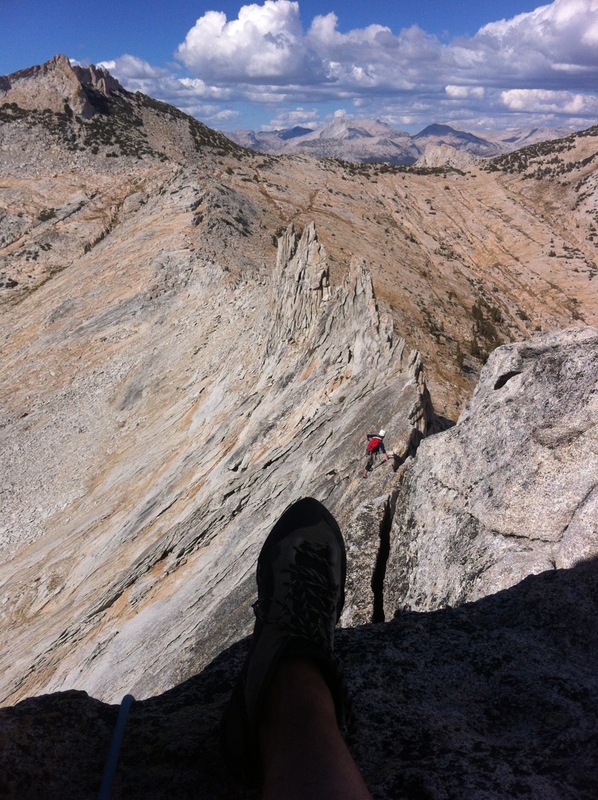 John’s last belay ledge. Perfect. The route traverse the entire visible ridge, starting from the notch at the far right, and ending at the notch on the far left. You know it’s good when it barely fits in the camera lens. Views on our walk back to the car were similarly perfect. We picked up the pace to race the sun down, and finished the route car to car in 12 hours. Cathedral Peak on the way home. Mt. 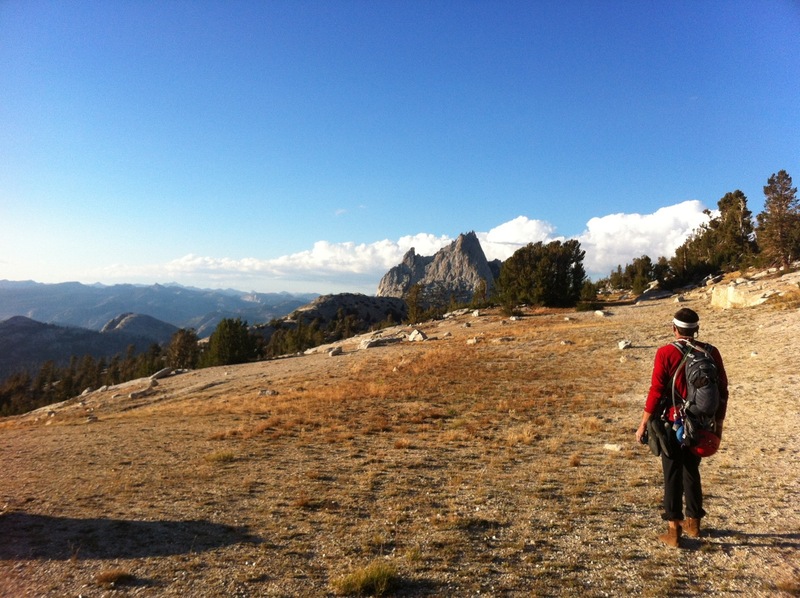 Conness and the Sierra Crest. Perfect. It was a little hard to rally for another climb on Saturday morning, but I knew I was sitting in a car for two days and wanted one more shot at the route we failed to find on Tuesday. We found it in short order, but also found another party on it that was in over their heads. 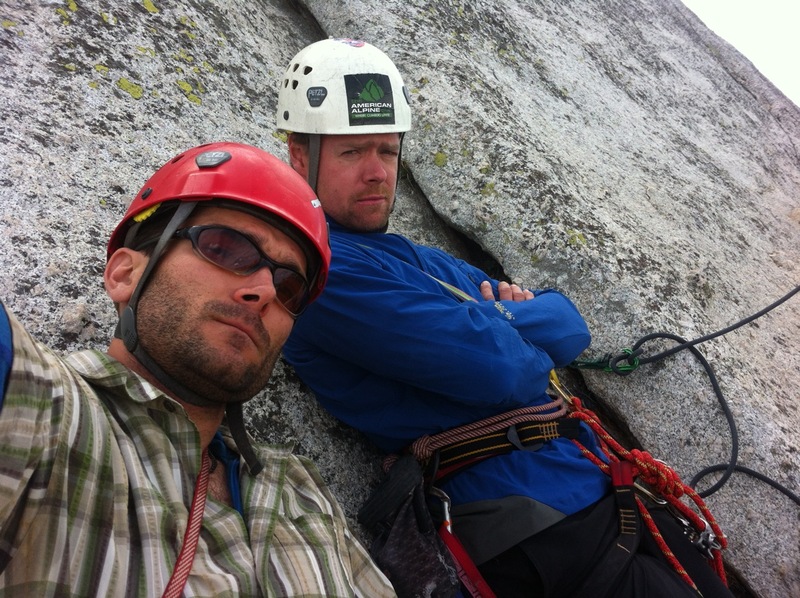 After 1.5 hours of waiting at the pitch 2 belay, John and I were cold and frustrated. Gangstas, who weren’t rolling anywhere behind another party. 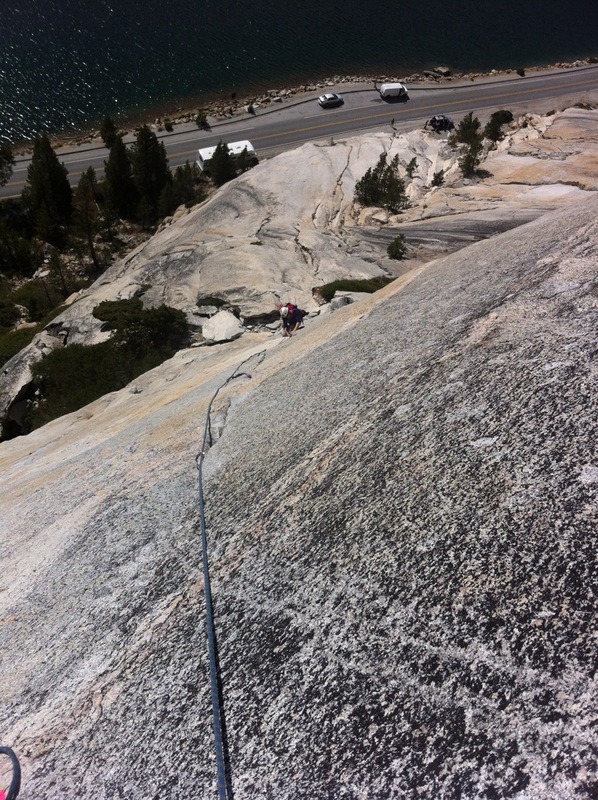 We down-climbed the two pitches and headed our respective ways. Despite the disappointment of not finishing the route, watching another team disintegrate made me even more grateful to have had a competent and fun partner for the week. Many thanks to John for the sweet camping, willing attitude, and wise counsel. 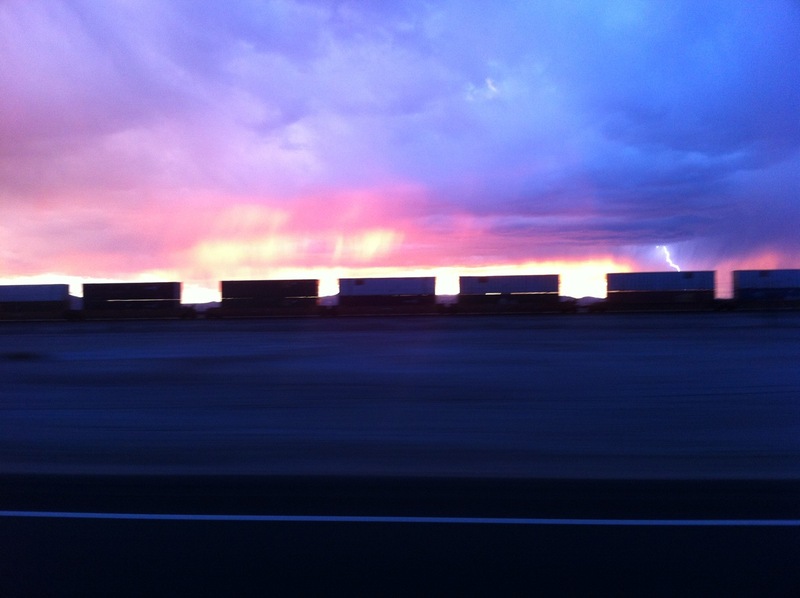 Train + Rainstorm + Sunset + Lightening. More insight to follow, but the most important outcome from the vacation was that it felt like vacation- I didn’t really think or do anything in particular, and enjoyed being more away from everything familiar than I have been in quite some time. 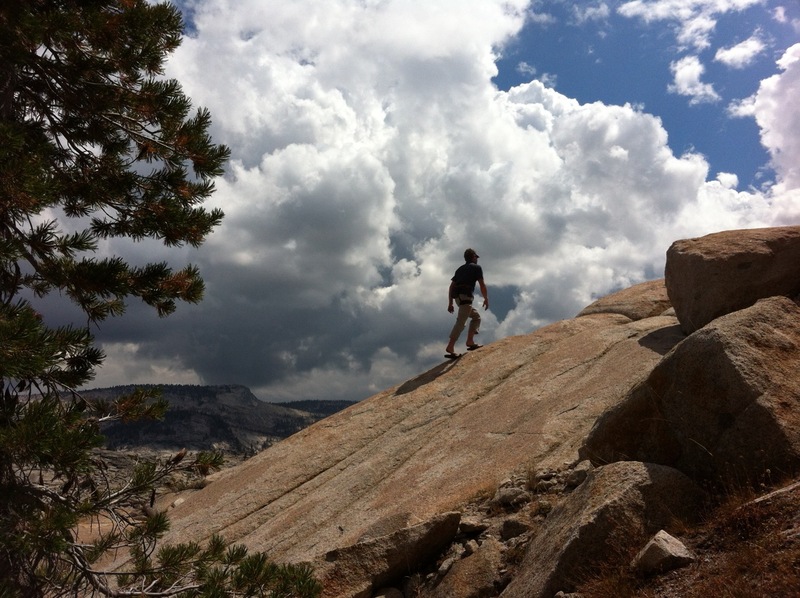 This entry was posted in Alpine Climbing, Rock Climbing, Traveling and tagged daff dome, driving, eastern Sierra, matthes crest, off the grid, on the lamb, slow climbers, south crack, stately pleasure dome, tuolomne meadows, west crack, Yosemite national park on September 12, 2012 by sticker1. Amazing pictures! Especially the ones of your traverse. What an awesome experience!